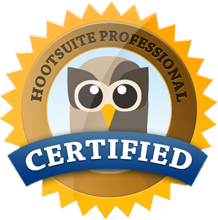 This entry was posted in My Social Journey and tagged badge, certification, dashboard, hootsuite, professional, social media, student, university. Bookmark the permalink. ← Lesson 1: What is new media?